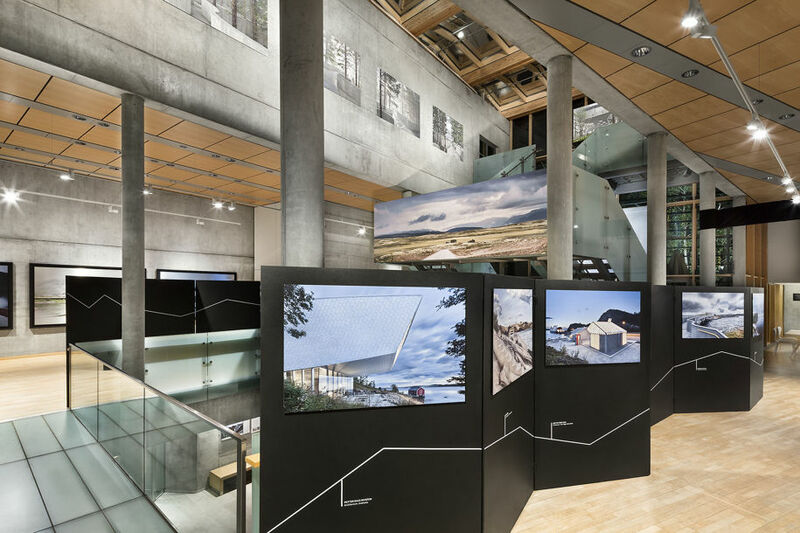 The exhibition “Architecture and Landscape in Norway” held in the Felleshus of the Nordic Embassies in Berlin between 5.10.2018 – 17.01.2019, as part of “European Month of Photography“, shows a selection of photographs taken by Ken Schluchtmann. 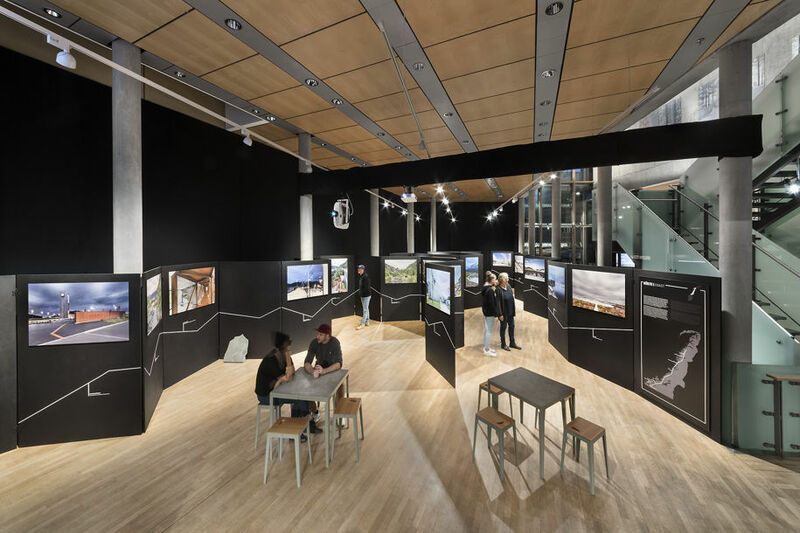 The exhibition displays images taken at the intersection between contemporary architecture and landscape along the National Tourist Routes in Norway. 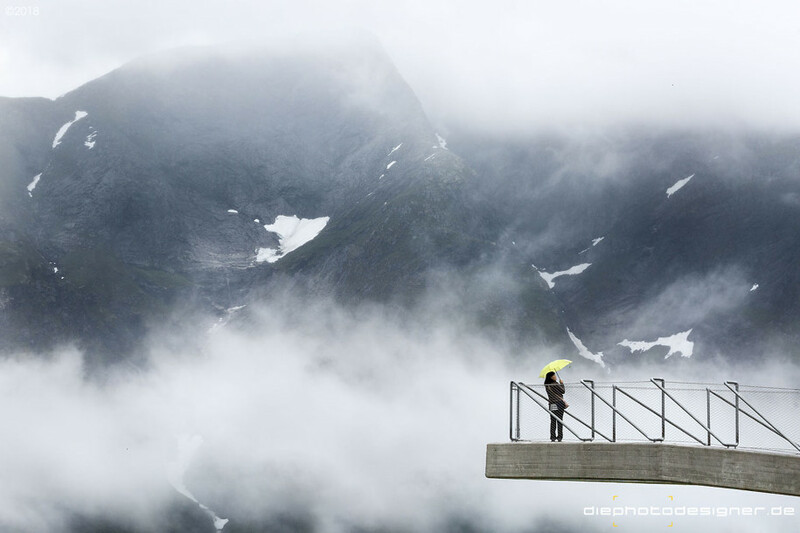 The National Tourist Routes consist of 18 selected roads that run along the coasts and fjords, and over the mountains and plains in Norway. 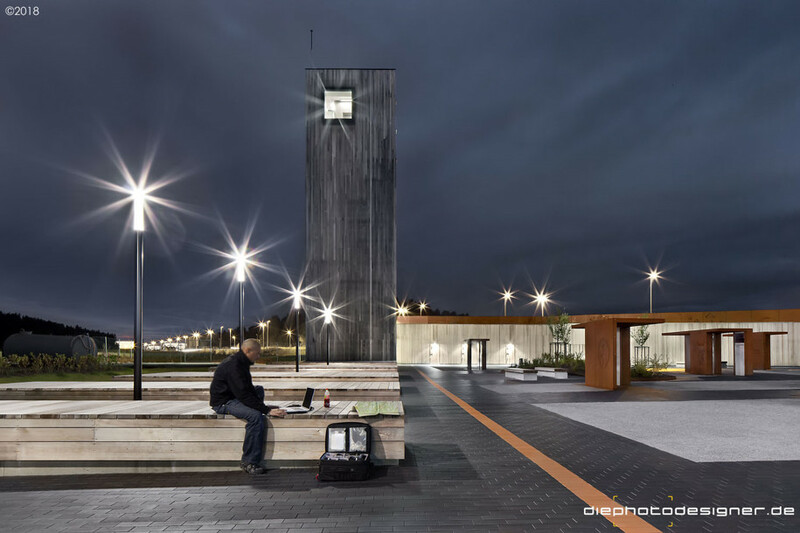 By 2024 there will be almost 250 rest areas and viewpoints created by some 60 architectural firms, landscaping firms, designers and artists. 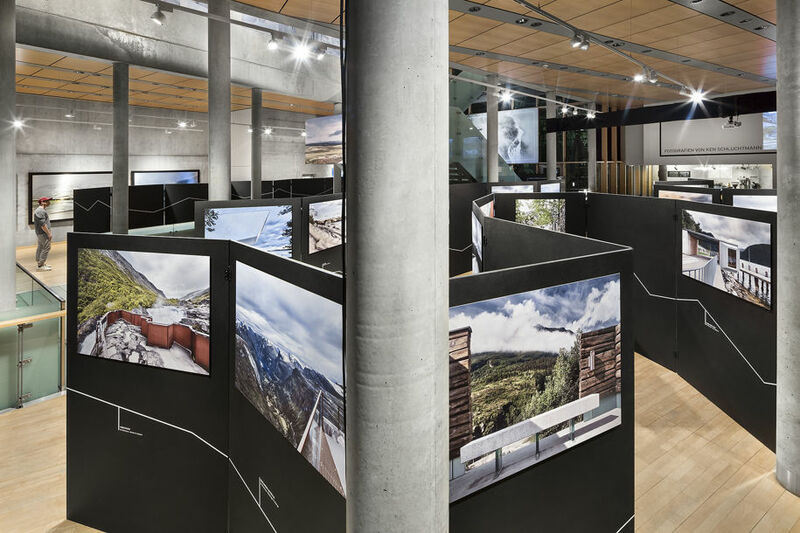 Over the course of eight years, Ken Schluchtmann is up until now the only one who has photographed the National Tourist Routes, initiated in 1994, consistently. 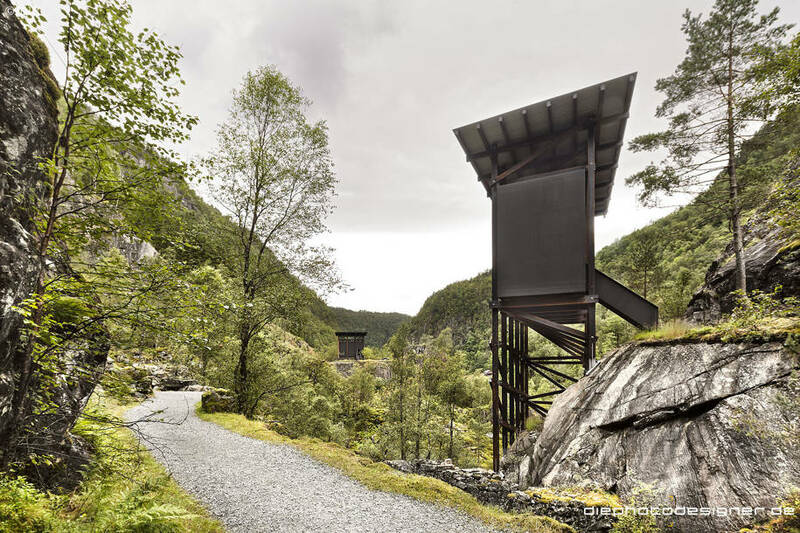 Schluchtmann uses a coherent imagery, which creates a strong identity and shows some of the most beautiful parts of rural Norway. 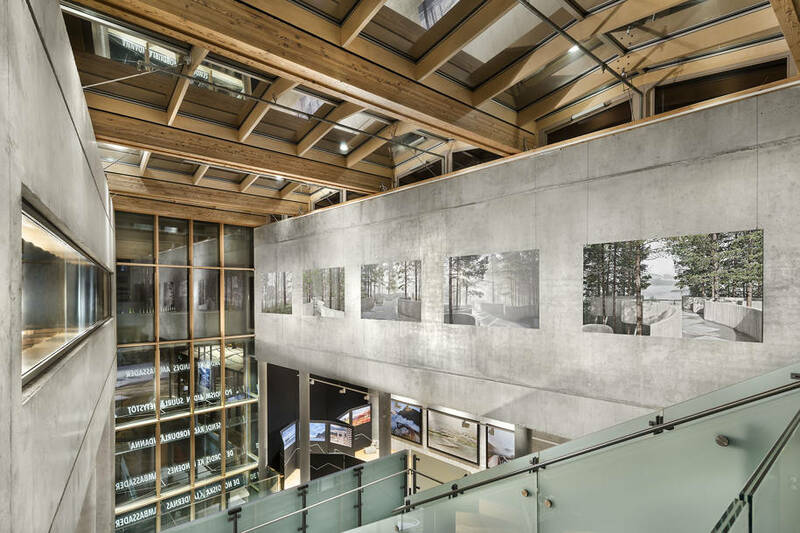 The pure power of the landscape is strengthened by the integration of architecture and art works. 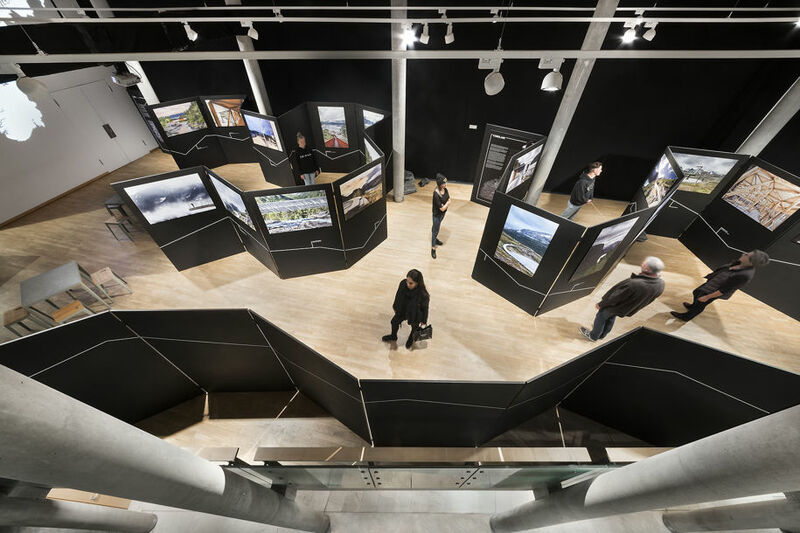 “Architecture and Landscape in Norway” is Ken Schluchtmann’s personal engagement with Norway, a country that triggered his current career as a photographer. It all started in 1997 with a trip to Norway. The impressions he experienced at the time were so intense that he quit his law studies in Hanover and trained as a photo designer in Berlin. For the current project, he has traveled the country over the past eight years, driving over 25,000 kilometers, living in his VW bus for weeks and producing over 10,000 photos. 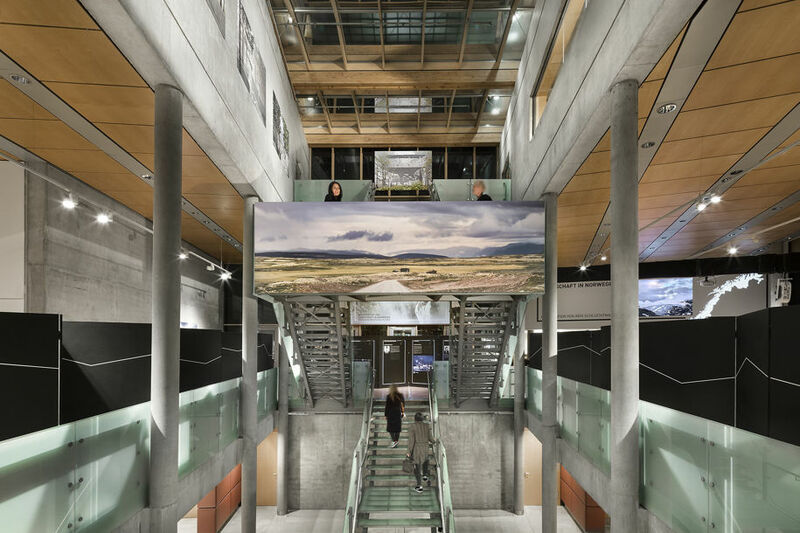 The multimedia aspect of the exhibition exposes itself with the projection of the Making Of video which is underlaid with engaging spherical sound. 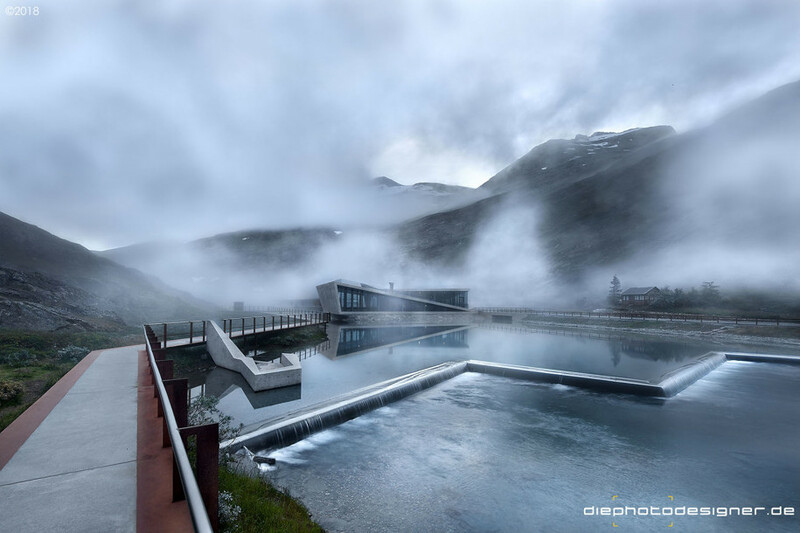 An electronic contemporary music that goes hand in hand with the architectural design and intensifies the sublimity of the dramatic landscapes. 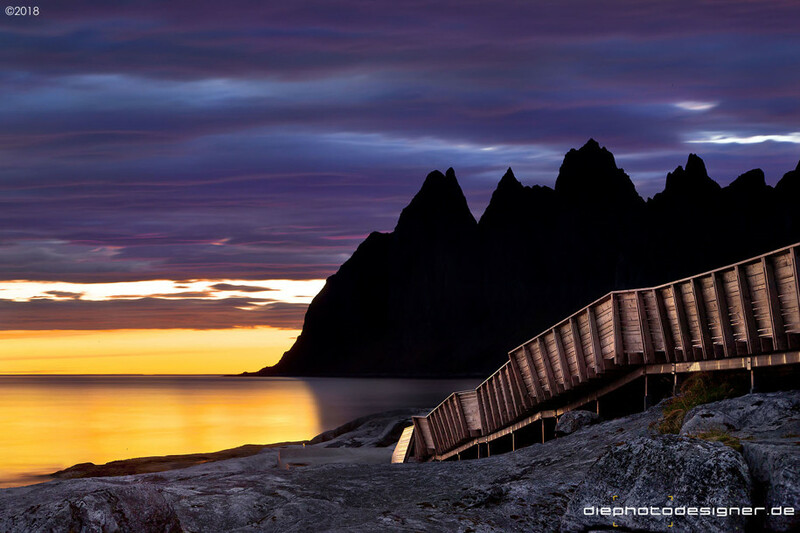 It is also the music that accompanied Schluchtmann during his trips to Norway. 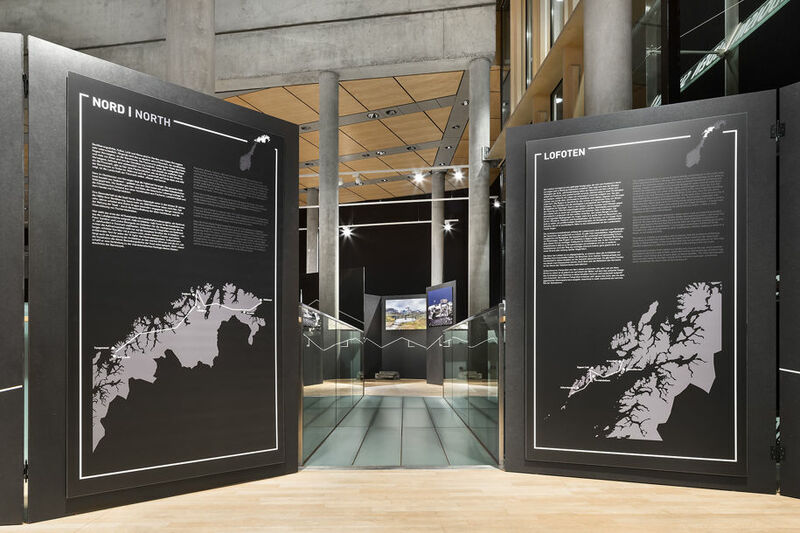 A video mapping of the map of Norway visualizes the travel route and complements it with matching landscape motifs of the various regions. 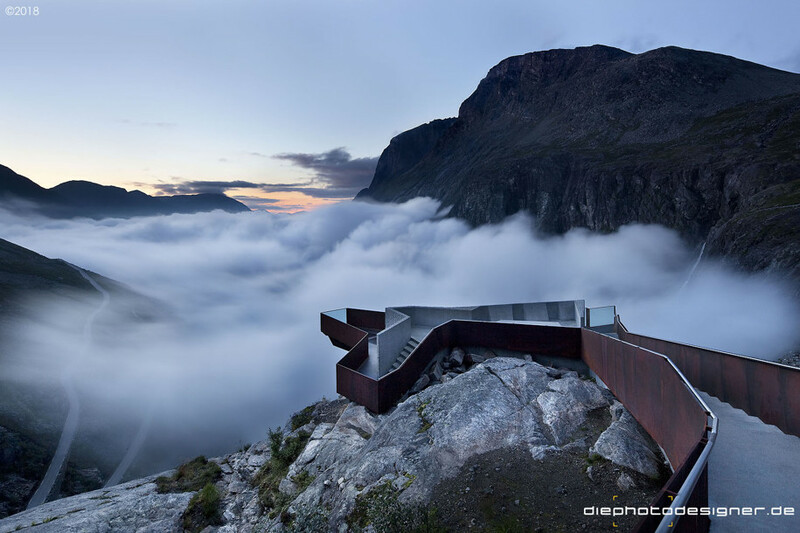 The architecture of the Felleshus is used congenially by the exhibition design to create an experience where the audience can immerse in Norway’s impassable and impressive landscape. 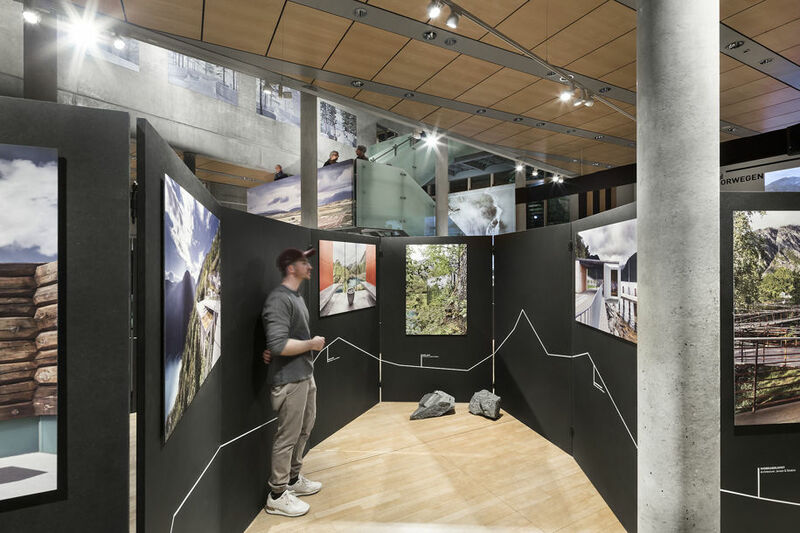 The architecture of the building is consciously used everywhere as an integral part of the exhibition concept, as its various levels and materials, such as exposed concrete, glass, wood and metal, remind one of the buildings Schluchtmann photographed in Norway. 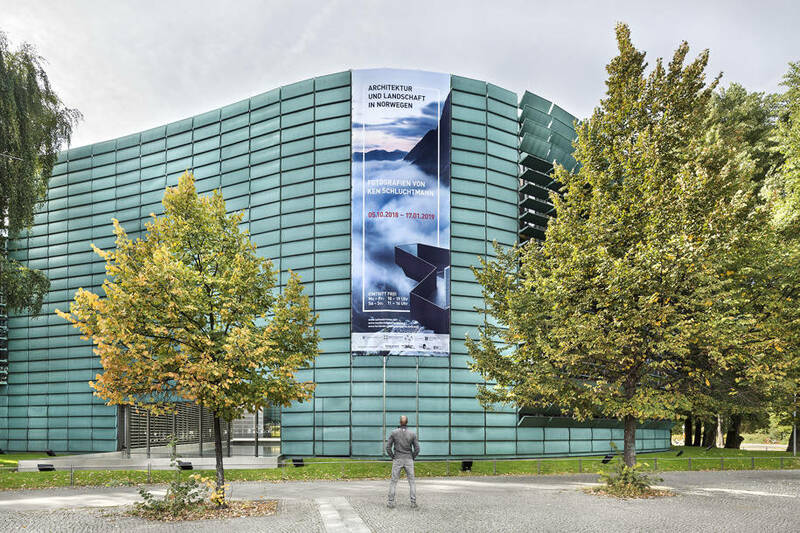 Arrived at the actual exhibition, over 2 meters high black partitions in non-linear arrangement define the reference to the actual course of the National Scenic Routes and the way of the observer. 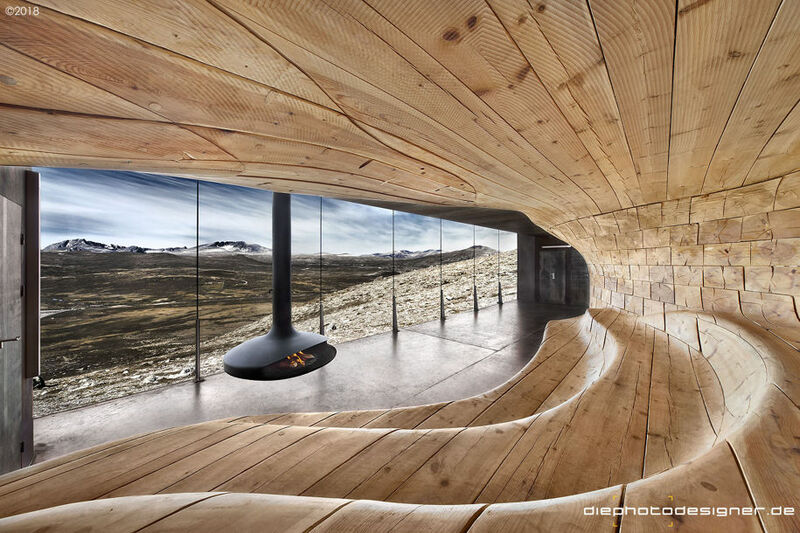 Similar to the Norwegian mountains, these partition walls often deny unobstructed views, but as you walk through them, they constantly open up new vistas, so that you feel like you are on a road trip yourself. 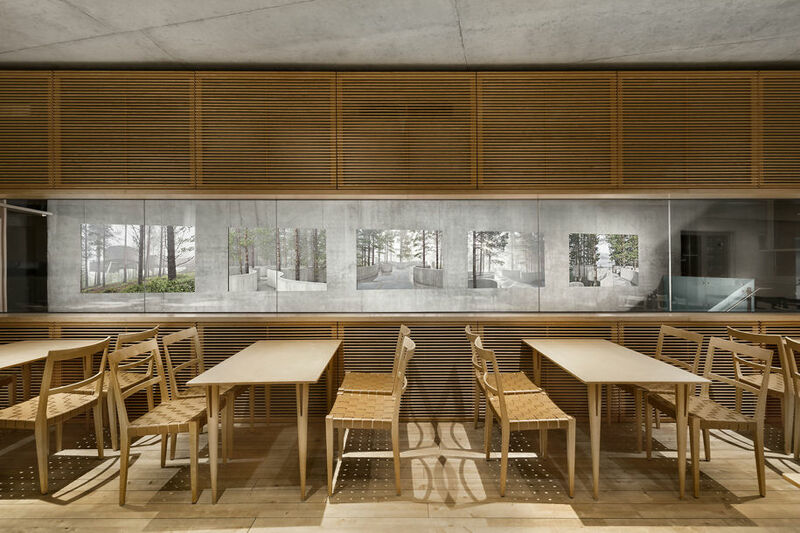 The reference to the extreme height differences in the country is underlined by the white lines on the partition walls, which helps the viewer to classify the pictures geographically. 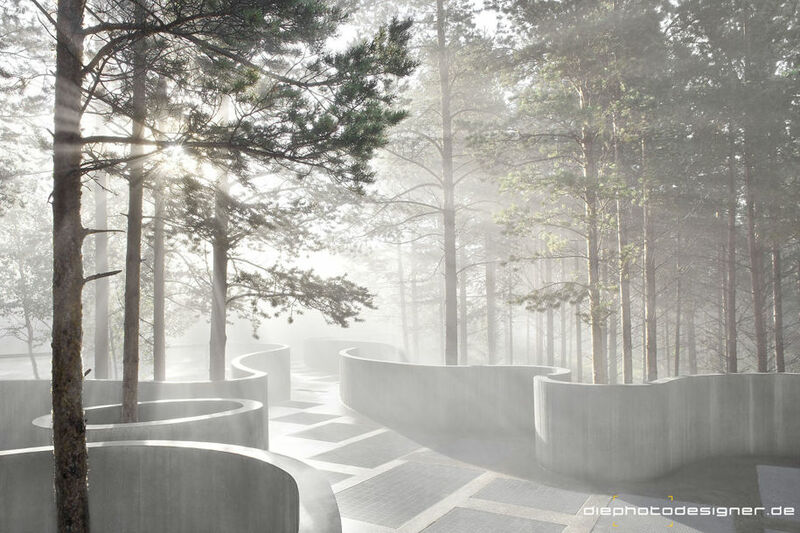 The exhibition concept thus takes on a special role in the sense of an overall visual narrative that enables the viewer to immerse himself deeply in the wonderful landscape and unique architecture of Norway. 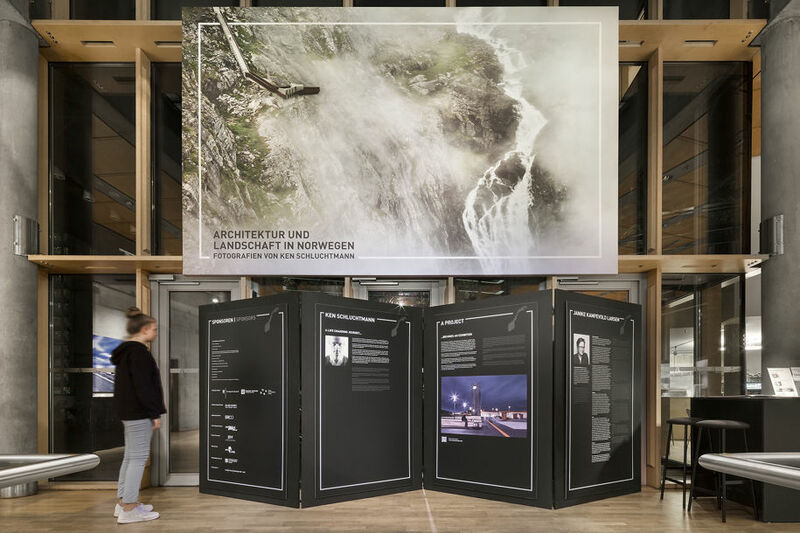 The exhibition is accompanied by explanatory texts by the Norwegian curator Janike Kampevold Larsen who is an associate professor at the Oslo School of Architecture and Design (AHO) and has dealt with Norwegian landscape and landscape theory for a long time. 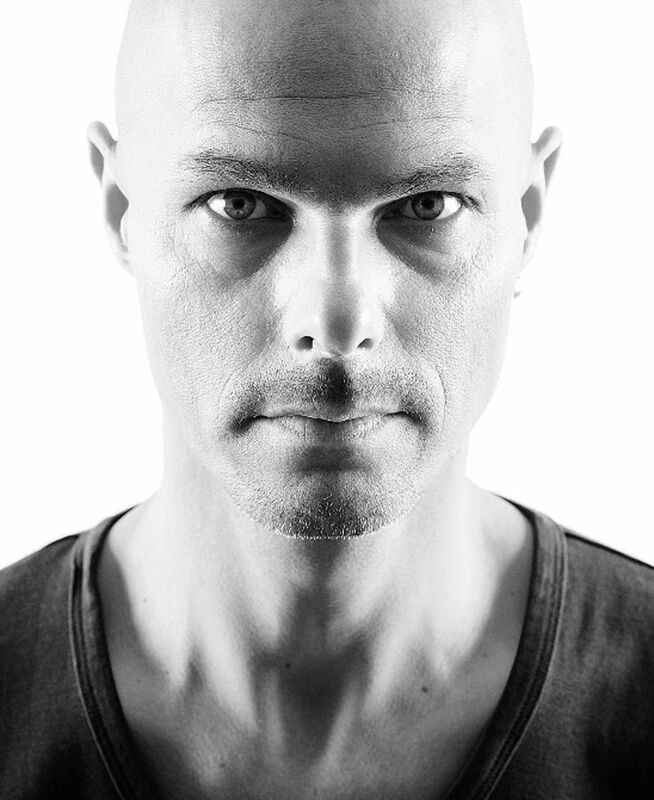 In addition to his commercial work, he is also involved in freelance projects: “Architecture and Landscape in Norway” is his personal engagement with Norway. 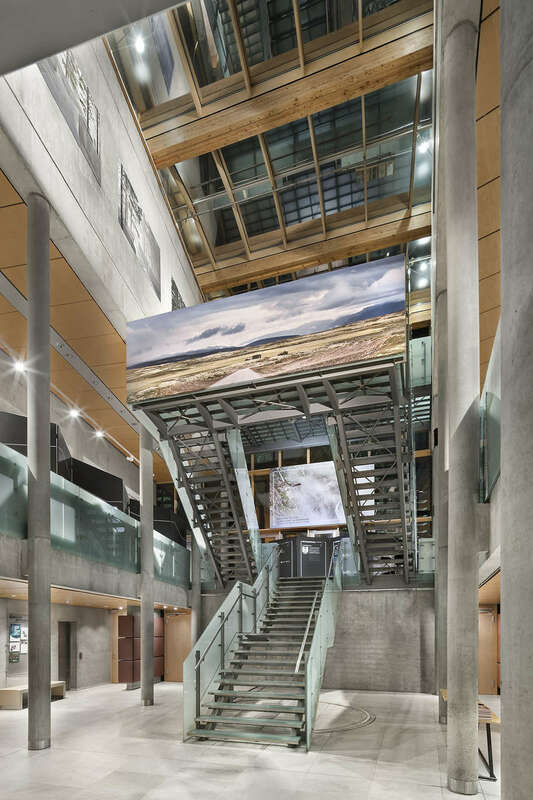 His pictures are the result of a narrative project that goes beyond the mere documentation of landscape, architecture or the object they represent. 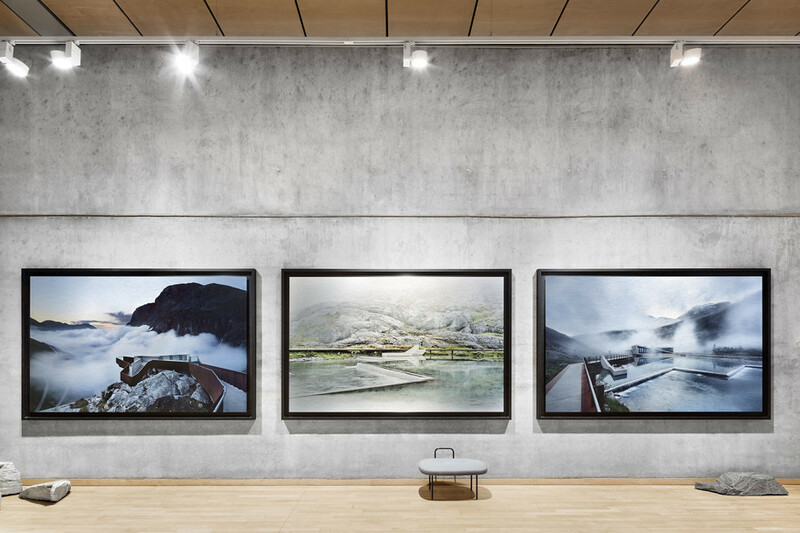 Through his photographs, Ken Schluchtmann opens up for an intimate dialogue between the Norwegian landscape and the viewer. Phonebox by artist Joe Sweeney invites UK public to "leave a message for Europe"